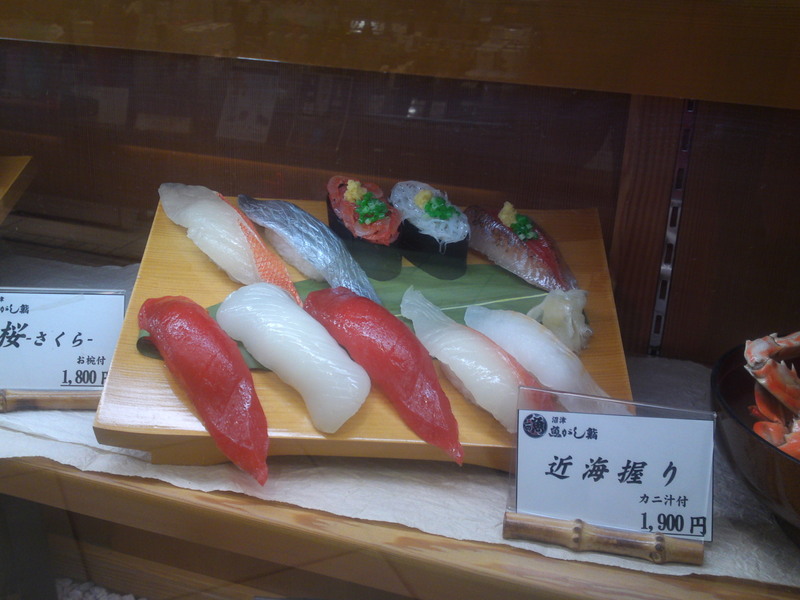 As a general rule it is always a good idea to check inside major railway stations in Japan for local food and products. 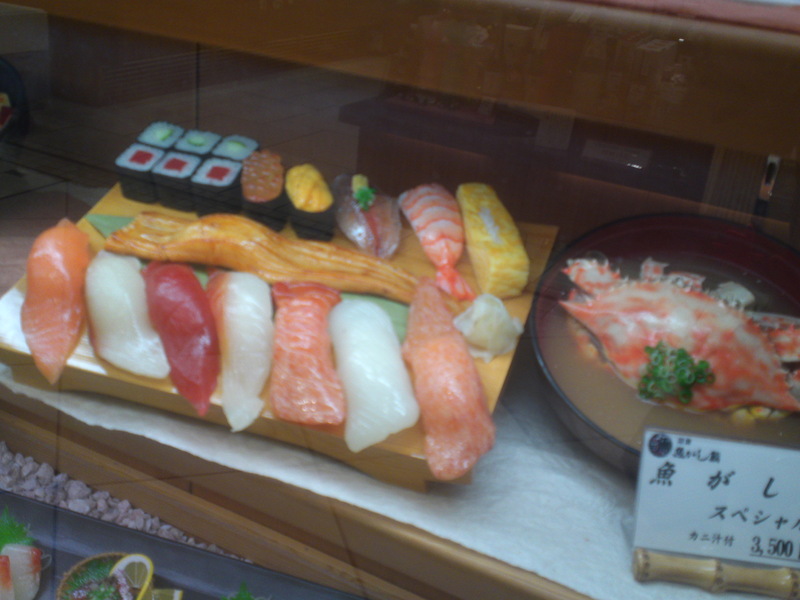 And since Shizuoka Prefecture has no less than 6 (the record in Japan) major shinkansen/bullet train station, you ought to spend some time looking around before boarding your train! This time I will take you around Hamamatsu Railway Station, or JR Station as they call such a building in Japan! 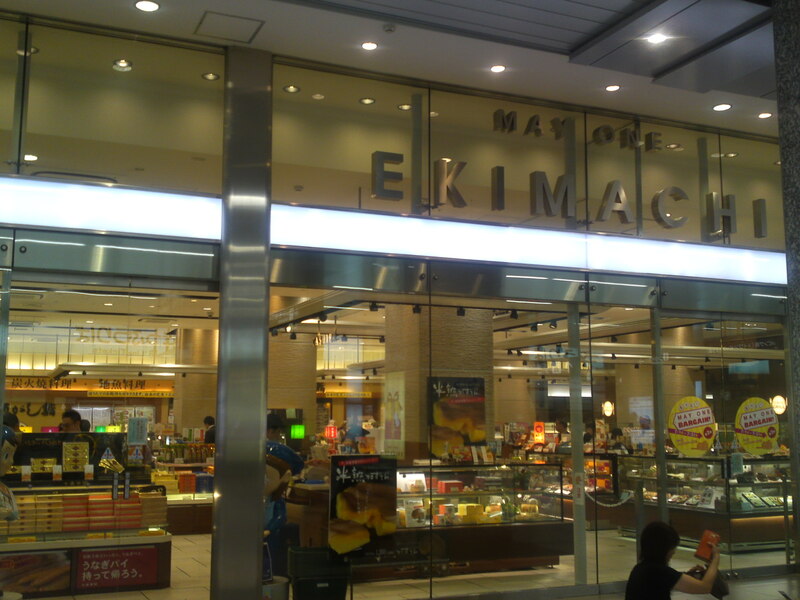 It is quite easy as most shops are concentrated inside the “May One Ekimachi” Store! 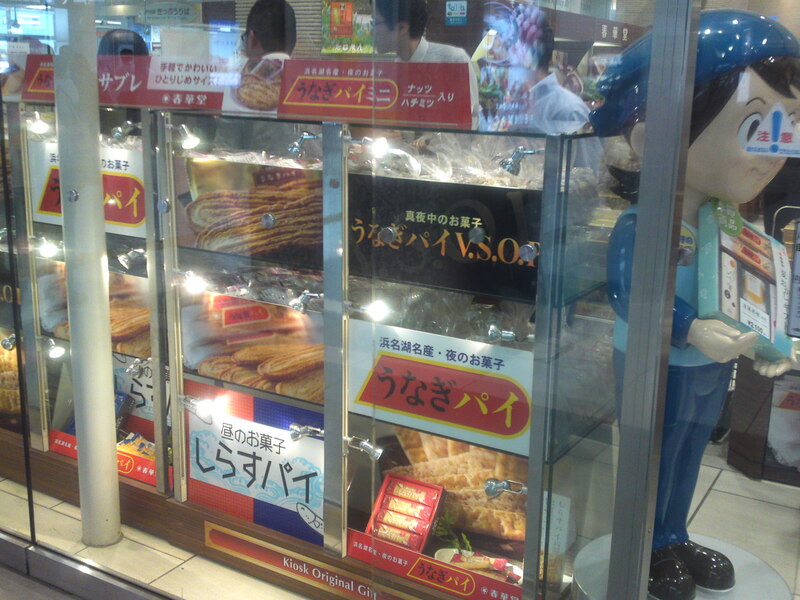 Right at the entrance you will discover the biscuit of the area: unagi pie/eel pie! 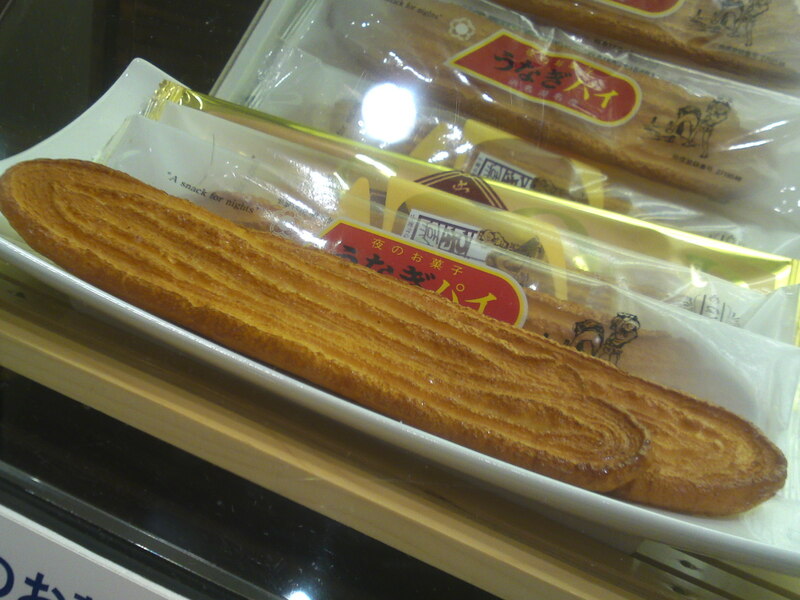 There is no eel in this sweet biscuit. 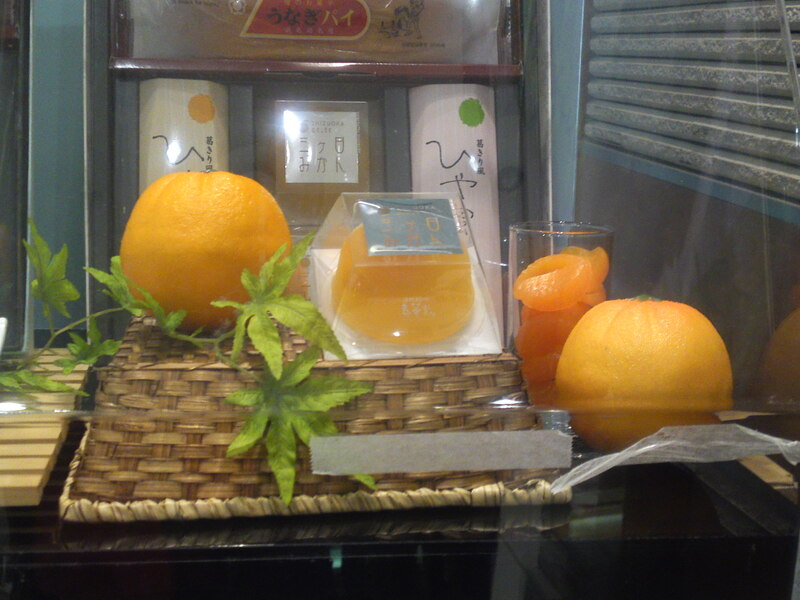 It’s only the color which is reminiscent of the famous fish bred and caught in the Hamamatsu City area! 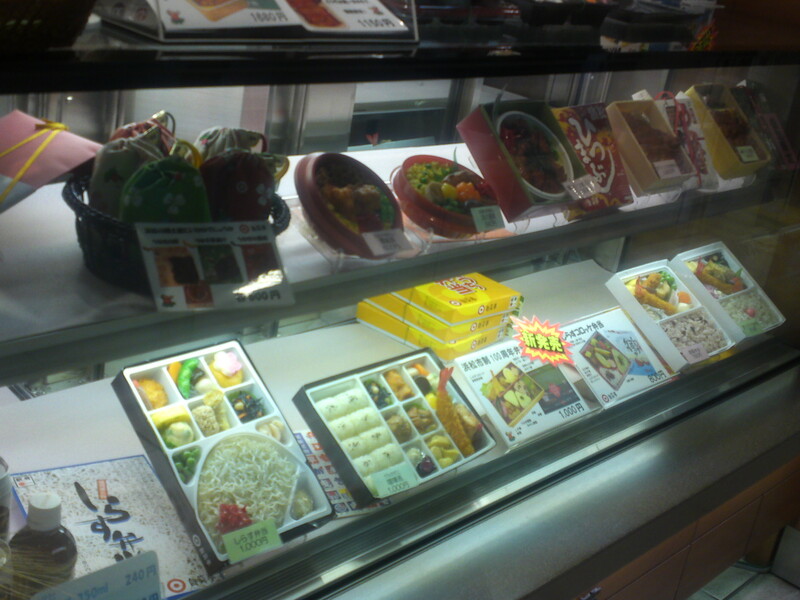 Have a good look at the ekiben/railway bento before boarding your train. 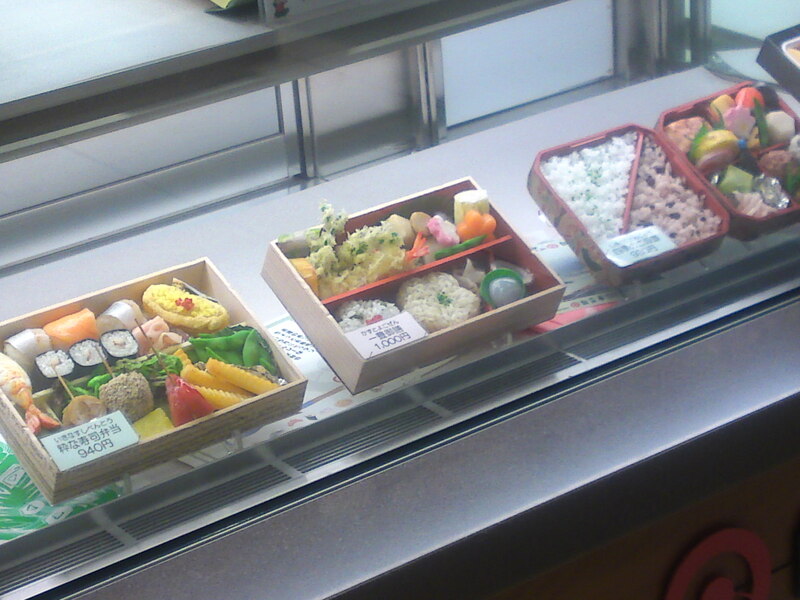 Ekiben are always the best indication of what people eat in the same region! 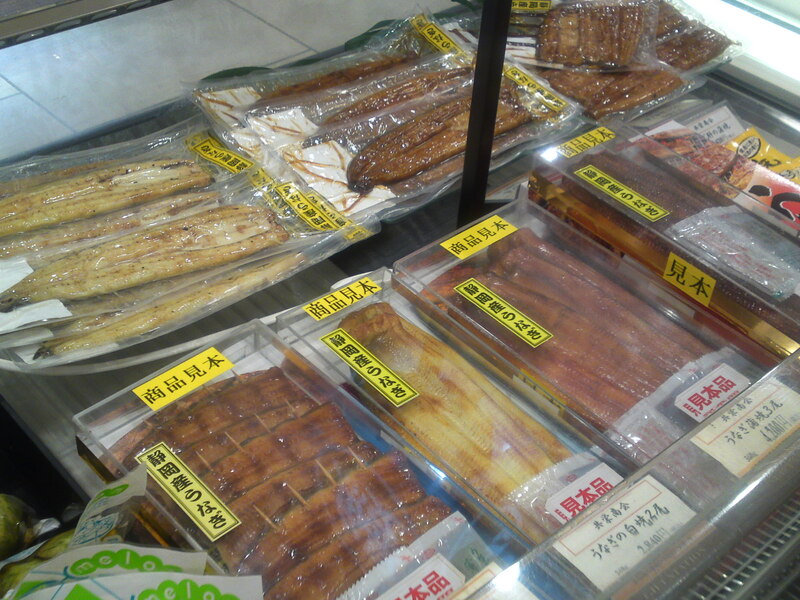 Here are the real unagi/鰻/eels prepared in various fashions! 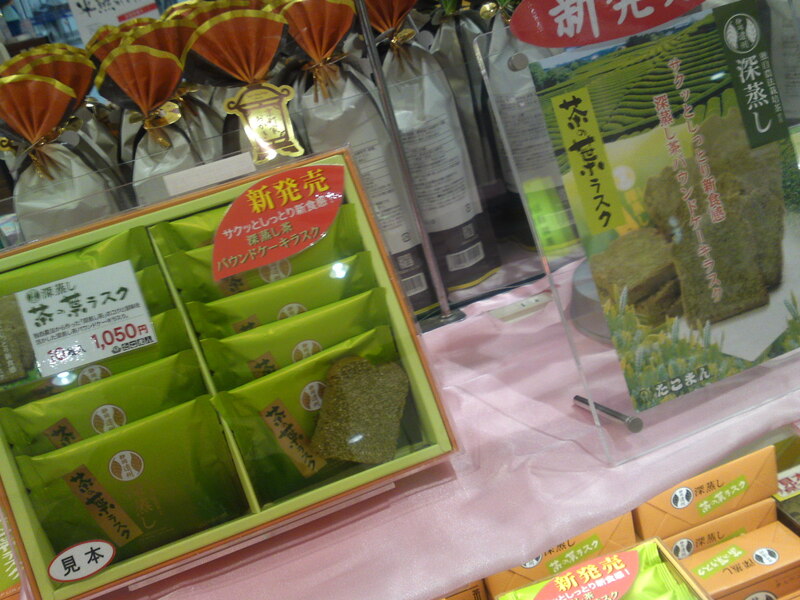 Processed products of wasabi. 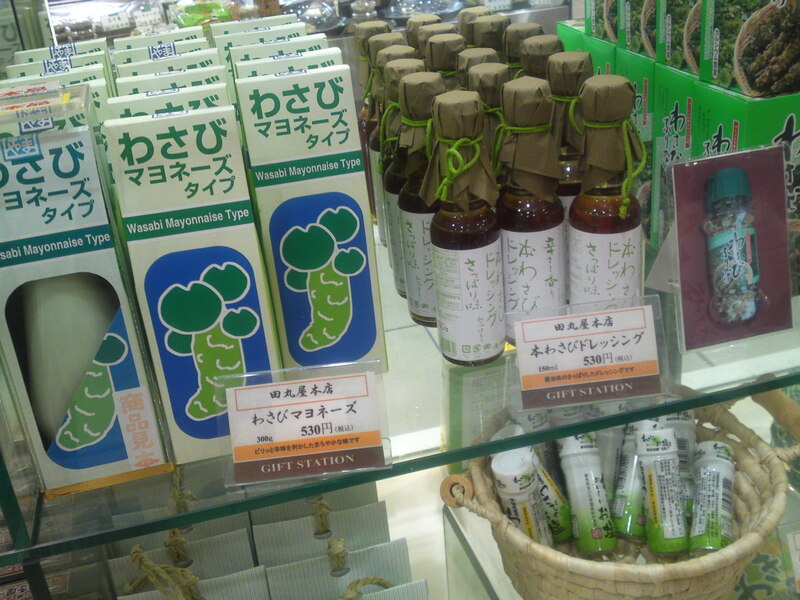 Shizuoka Prefecture grows 80% of the total national crop! 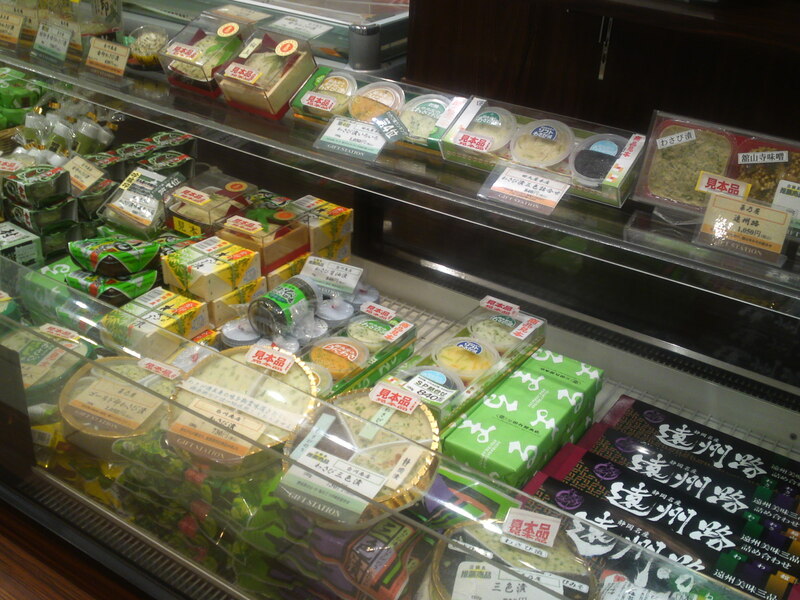 More wasabi processed products including salt, mayonnaise and dressing! 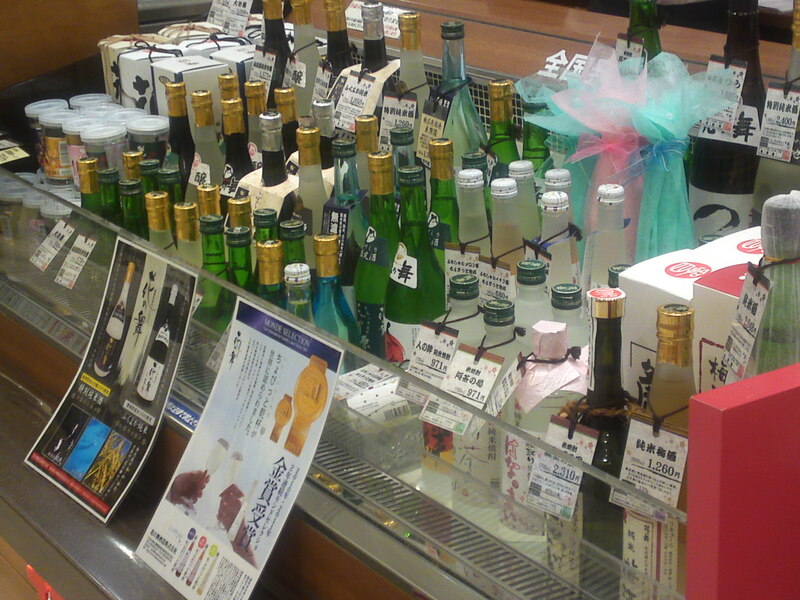 Sakes brewed by Hana no Mai Brewery, one of the two breweries in Hamamatsu City! 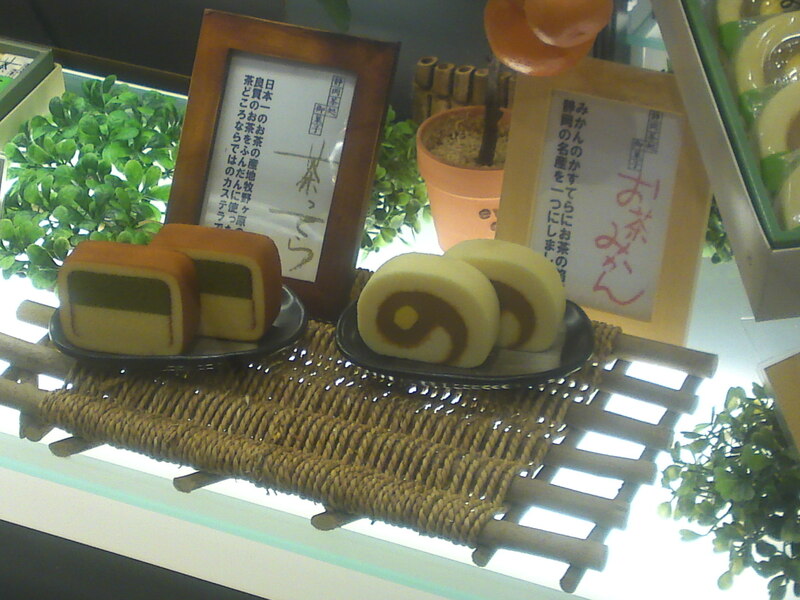 Tea and orange roll cakes! 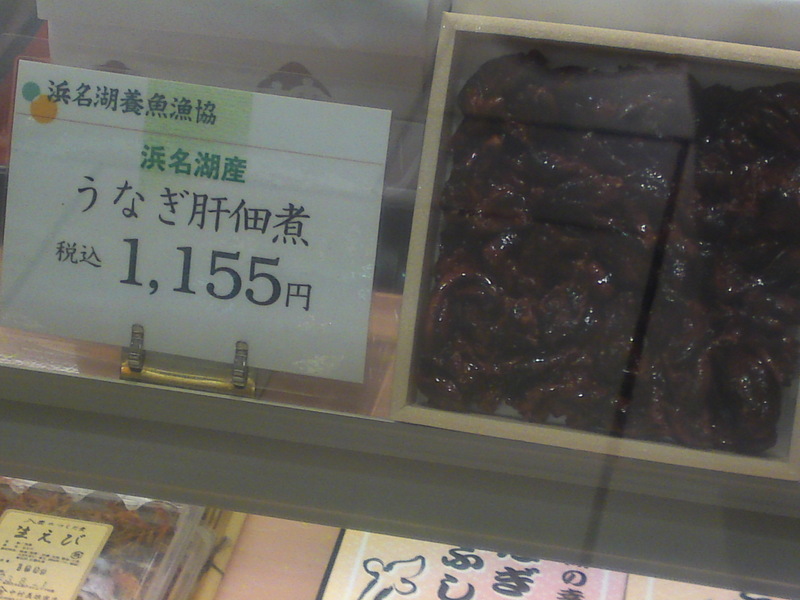 Another specialty of Hamamatsu City: simmered eel livers! A closer look at unagi pie! 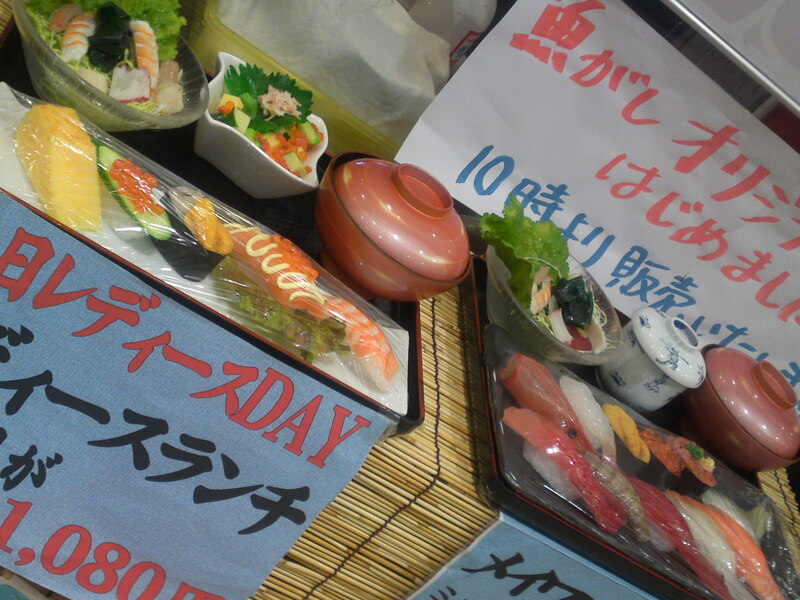 Uogashi Sushi Company (from Yaizu City!) 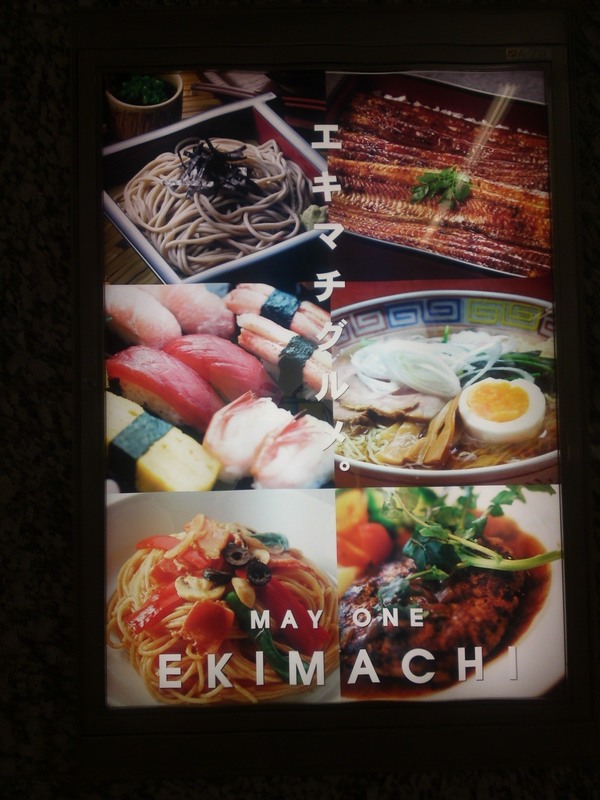 has big restaurant inside where you will be able to get all kinds of meals including purely local sushi! Great plastic models for collectors and fans! 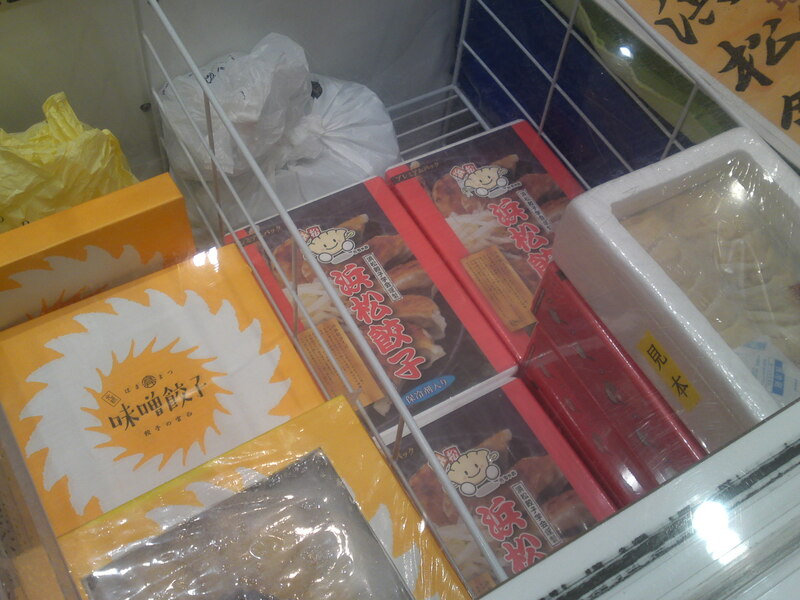 Another specialty of Hamamatsu City: gyoza dumplings always served with beansprouts! 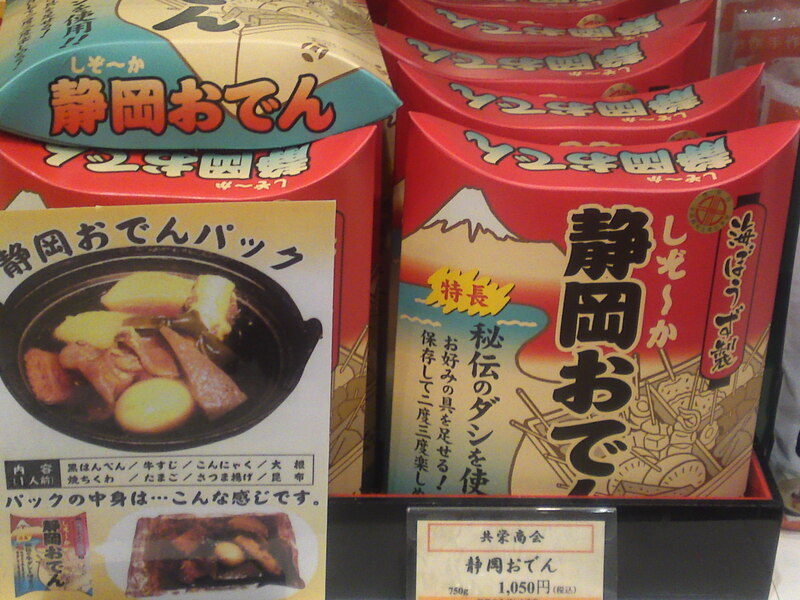 Oden! 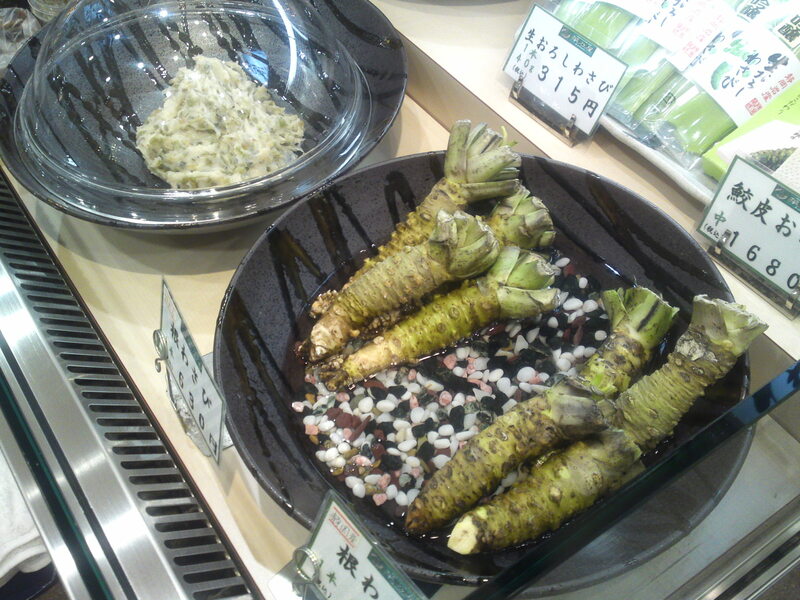 More a specialty of Shizuoka City, although all big cities and areas in the Prefecture have their own! 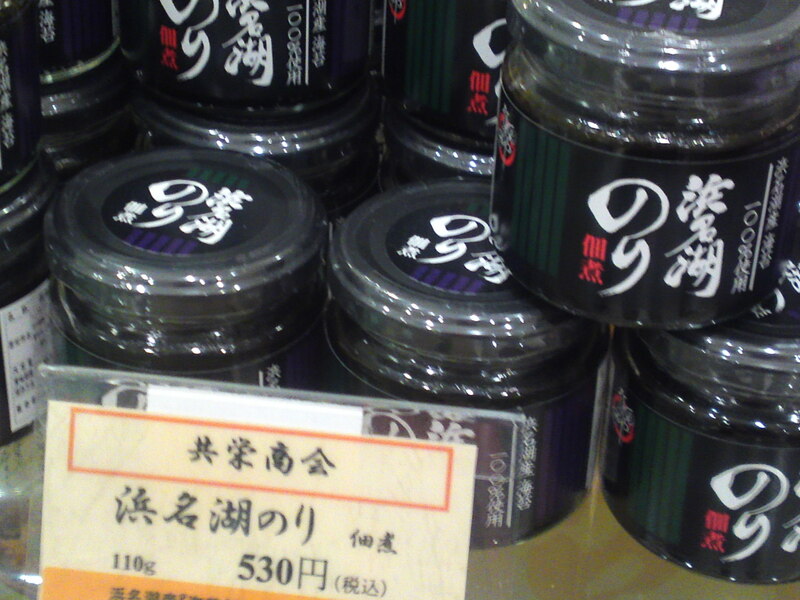 A great health food from Lake (salted) Hamana: seaweed!